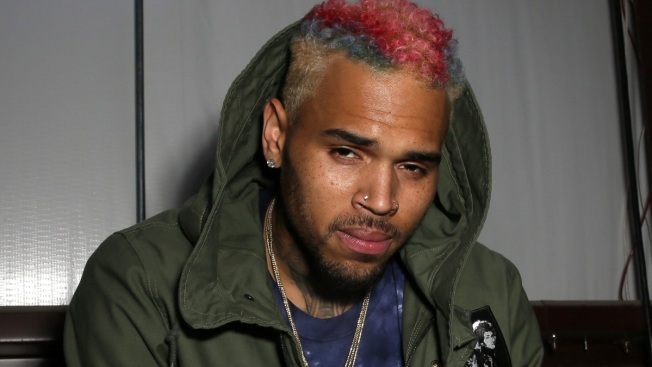 Singer Chris Brown's departure from Manila was delayed Wednesday because of fraud allegations against him and his promoter. Grammy award-winning singer Chris Brown's departure from Manila was delayed Wednesday because of fraud allegations against him and his promoter for a canceled concert last New Year's Eve. The recording artist, who performed at a packed concert Tuesday night in Manila, was prevented from leaving on a private plane Wednesday pending clearance by the Bureau of Immigration. The religious group that owns the New Year's Eve concert venue petitioned the Department of Justice for help prosecuting Brown. It wasn't immediately clear whether a formal complaint was filed. Bureau of Immigration spokeswoman Elaine Tan said Brown and his promoter, John Michael Pio Roda, were placed on the bureau's "lookout bulletin" on the instruction of the Department of Justice. Tan said a lookout bulletin is not on its own a bar to departure, unlike a hold departure order. She said the justice department order directs the bureau to "take prudent steps to verify on the status of the criminal case against the subjects." "If the concerned agency raises no objection to the departure, then we will allow the subject to leave," Tan said. The singer canceled a New Year's Eve concert at the 55,000-seat Philippine Arena at the last minute, reportedly because he lost his passport the day before the scheduled event. The legal counsel of the religious group Iglesia ni Cristo and its Maligaya Development Corporation which manages the Philippine Arena, wrote Tuesday to Justice Secretary Leila de Lima to ask for assistance in prosecuting the criminal complaint for fraud that the MDC is filing against Brown and Pio Roda. The letter said after making representations that Brown would perform at the concert, and after having fully paid for the two men's services, Brown failed to appear and perform at the concert, to the damage and prejudice of MDC. Brown had a concert scheduled for Wednesday night in Hong Kong, but calls to the venue were not answered. A posting earlier Wednesday on the singer's Twitter account said a concert later this week in Jakarta, Indonesia, was being canceled for unspecified safety concerns but would be rescheduled.